At the present, American Museum of Natural History is the largest scale of museum of natural history in the world. It is also one of the major centers for natural history research and education in the United States. 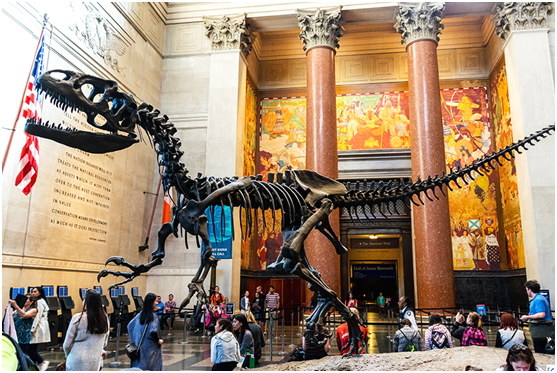 American Museum of Natural History is founded in 1869 and the museum is located in New York, United States, covering an area of more than 7 hectares, the style of building as a classical form. Its collection of Paleontology and anthropology occupies the first place in museums all over the world. In addition to specimens collected in the United States, representative specimens from South America, Africa, Europe, Asia and Australia are also collected. The American Museum of Natural History has a natural history library with 485,000 – volume collections of photographs, films and manuscripts. 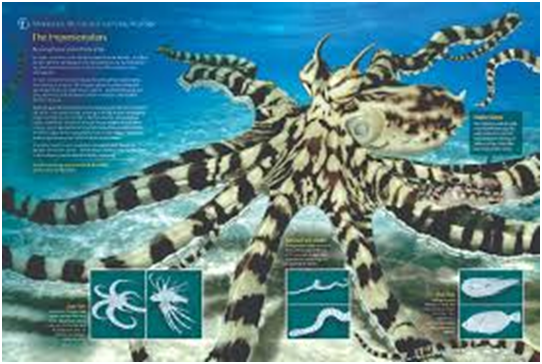 It also organized educational activities for the public, to publish monthly “Natural History”. One of the largest planetarium in the world is also in this Museum, is called Hayden Planetarium. It also has an astronomical Library of 10 thousand volumes and a space theater with a diameter of 23 meters. It has a library and Henry Fairfield Osborn Paleontology library, with about 300,000 books and periodicals on natural history, many of which are valuable first editions. The museum also publishes many professional books and magazines and a large number of popular science propaganda materials. The Ministry of Public Education is also the main department in charge of display and exhibition, external publicity, school services, audience reception, collection and screening of science and education films, as well as holding science popularization lectures. The museum has an annual audience of 4 million. The exhibition mainly includes five aspects: astronomy, mineralogy, human history, ancient animals and modern animals. There are numerous replicas of fossils, dinosaurs, birds, Indians and Eskimos. Collection of Jewels, mollusks and marine specimens are especially valuable. There are 38 showrooms with 500-1500 square meters. In addition, the Roosevelt Memorial Hall as commemorating President Franklin Delano Roosevelt to support for the cause of the museum. American Museum of Natural History offers us so many valuable things collected from ancient culture and residue to modern science. If any chance to visit and you may gain more natural knowledge from this trip. Also it remain so many historical heritage and culture so that the future human start their research with enough valuable reference. Reference of Related information about Nature and History.